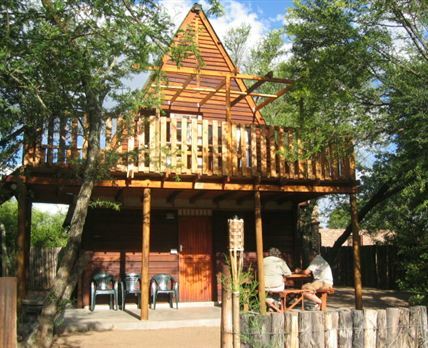 Karoo River Rafting & Cabins are set in the stunning surrounds of the Karoo, between Cradock and Middelburg. This perfect farm getaway combines the breathtaking beauty of the Karoo and all-year round exciting river rafting. Perched on the banks of the Great Brak River at the confluence of the Teebus, this idyllic spot offers inviting accommodation and first-class camp facilities – perfect for families or groups looking for adventurous, fun-filled weekends. Also the ideal getaway for companies and schools wanting away-time for team building. We prefer to rent out the whole camp per booking. Click here to enquire at Karoo River Rafting & Cabins.